Could this world first have profound implications for big wave surfing water safety? A few years ago, after watching a video of a man skimboarding behind a drone, we pondered what impacts unmanned flying craft could one day have on tow surfing, and particularly water safety. Since then, it turns out the Aussie government have been exploring the possibilities of drones saving lives, and earlier today two teenage boys became the first people ever to be rescued from the sea by one of the new life-guard drones, recently rolled out in NSW. 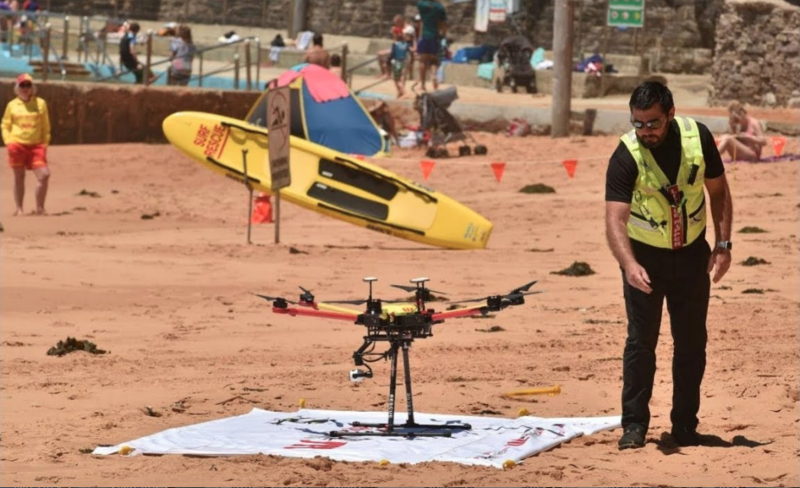 After the swimmers were spotted by a member of the public waving for help, lifeguard supervisor Jai Sheridan flew the drone over to them, dropping an inflatable rescue pod, which the pair then grabbed on to and made their way safely back to shore. The entire rescue took just two minutes, around a third of the time it would take using standard lifeguarding methods. Jai later described his first rescue with the drone, called the ‘Little Ripper’, (because, Straya), as ‘unreal’, adding that it had really proved itself as an amazing bit of lifesaving equipment and was a pleasure to fly. The drone is part of a fleet recently purchased by the NSW state government, for a variety of uses including shark spotting and lifeguarding. While the drones being used in this instance are not powerful enough to drag a surfer from the impact zone, this creative use of new technology got us thinking about whether similar innovations could aid big wave surfers in the future. The debate around improving water safety is more relevant and contentious than ever, as more and more chargers flock to potentially deadly lineups. After the recent run of swell at Jaws, both Albee Layer and Billy Kemper took to social media to lament the way that rider safety was being handled. The NSW government has recently invested £247,000 in a new fleet of multi-purpose drones. 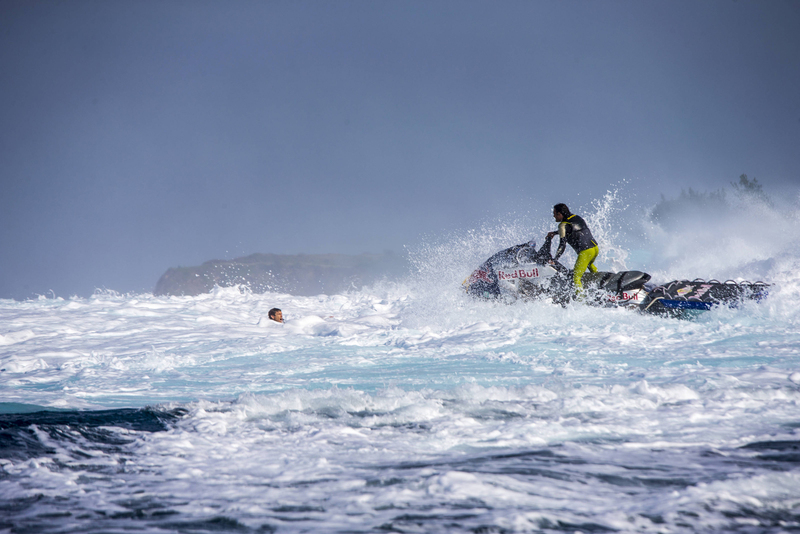 Budgets are tight for both aspiring and proffesionals big wave surfers, making expensive personal water safety a luxury some choose to be without. However, throughout the history of big wave surfing, technological innovation has continued to make the sport safer and more accessible. In the mid 90’s jet skis changed the game, and more recently inflation technology allowed limits to be further pushed. Could rescue drones be the next big thing? To find out if this idea was anything more than the ramblings of a know-nothing surf journo, we called up surfer and professional drone operator Timmy Boydell, of Light Colour Sound to get his take. His initial response was that yes, a drone dragging a surfer from the impact zone was possible, at least in theory. There are even drones already on the market with the power to do it, he told us, however, there are some big issues. Firstly- battery life would need to improve drastically to ensure the drone didn’t spend the bulk of the session flying back to the boat to have its power packs changed. And secondly, the necessary drones would need to be custom made, currently setting you back between £10,000 and £15,000. This, coupled with the need for a very experienced pilot, means owning or hiring a rescue drone would currently be vastly more expensive than a jet-ski and safety driver. Timmy also told us that, should it ever come to fruition, having multiple big bulky drones all buzzing around above a lineup could prove very dangerous, unless the pilots were all properly coordinated. So while we doubt we’ll be seeing it anytime soon, we’re not going to write off, as every great innovation seemed crazy once.